Syfy's Wynonna Earp returns for season 2 and makes good on the chance to expand its world in significant ways by immediately following up the season 1 finale and proving fans are in for a treat. In season 2, Syfy's horror-Western series Wynonna Earp -- based on the IDW comic book series -- picks up literally from the moment season 1 ended, and if this episode proves to be any indication, fans may be in for a treat. The season premiere, 'Steel Bars and Stone Walls,' does a fair amount of table-setting for the episodes to come, offering far more questions than answers. With Bobo (Michael Eklund) defeated, Wynonna (Melanie Scrofano), Doc (Tim Rozon) and the gang barely have a moment to catch their breath before a whole new terror is unleashed on Purgatory. Its true nature may still be up for debate, as is the mysterious new development with Waverly (Dominique Provost-Chalkley). 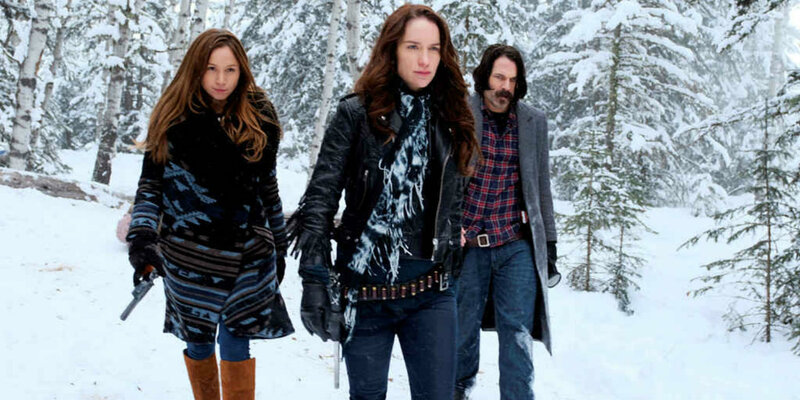 Nevertheless, it does seem like Wynonna Earp is off and running for its sophomore year. Let's delve into this week's premiere in a bit more depth, shall we? Considering the shocking turn last season's finale took in its final moment, fans may feel let down by the fact that Waverly hasn't quite turned on Wynonna and company just yet. 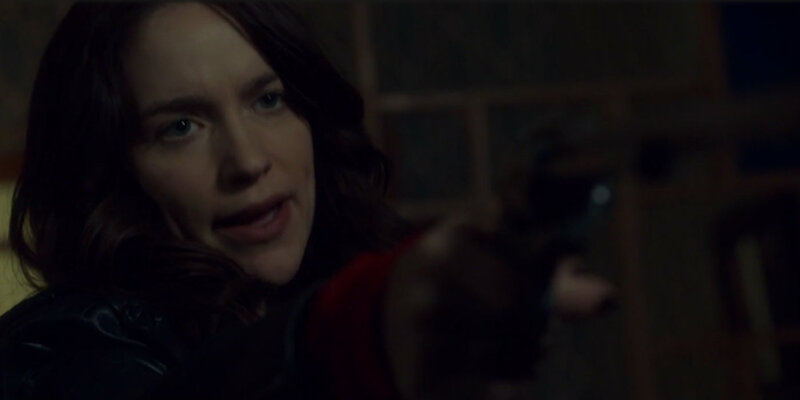 Oh, she's most definitely inhabited by some sort of dark force (more on that later), but as it turns out, Waverly was aiming her weapon at a new beastie. Exactly what these creatures are or how much they've infested the Ghost River Triangle will no doubt be a major storyline throughout the season. For now, Wynonna, Doc and dark Waverly decide to mount a rescue effort to bring Dolls (Shamier Anderson) back into the fold. The show wisely ties this initial monster encounter with the Dolls' story, as the trio use it to gain access to the Black Badge site. Along the way, Wynonna gets more opportunities to show off her signature sense of humor (she pointed out the Batman reference so that we didn't have to) and meets Eliza, a mysterious woman who apparently has been shacking up with Dolls for weeks. By the looks of it, she not only knows all about Dolls' secret condition but shares it as well. The truth behind Dolls promised to get answered this season. So naturally, that story starts with Wynonna finally learning that something is going on. Between Dolls' secret and Waverly's, Earp's heir probably should work on her detective work. After all, Eliza won't be around to help, it seems. Of course, Scrofano is as much fun to watch as always, and her commanding lead performance continues to anchor the show as it enters its second year. The moment at episode's end, in which we finally see the emotional toll that killing Willa has taken on her, really drives home just how much the character has been through. In addition, Doc remains the show's most fun character. Even when the show dips into cheesy one-liner territory (namely, "How do you like my mustache now? "), Rozon sells it with such gusto and playfulness that Doc emerges as the show's biggest scene-stealer. Once he does free Dolls, the entire team, of course, winds up under Lucado's (Kate Drummond) thumb, but we suspect Wynonna and company won't stay accountable to her for long. After all, the Earps aren't exactly welcoming of authority. Breakout couple Waverly and Nicole (Katherine Barrell) hit a rough spot this week, as the latter can already sense that something is off with her girlfriend. Of course, we have no clue just yet whether Waverly's newfound strength means that she has officially turned to the dark side like Willa, or if it's given her some new connection to the supernatural creatures that she can use to fight them as well as her family's curse. Right now, anything's possible, despite the season 1 finale hinting that Waverly will be gunning for her big sister. If Waverly has become bonafide evil, she does an excellent job at keeping her malicious intentions under wraps this week. 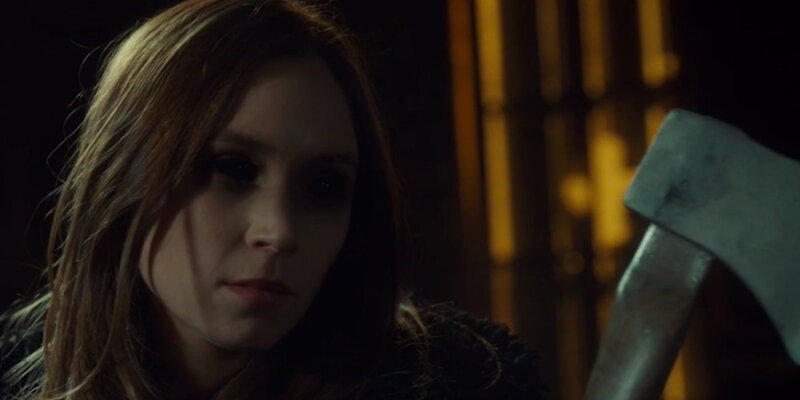 Using the dead monster to gain access to Dolls, Waverly adopted an English persona, giving Provost-Chalkley the rare chance to use her real-life accent on the show. The idea of Waverly going undercover already brings a strong enough comedic element to this episode, but poking fun at the actress's actual voice in the context of the show adds a fun inside joke for fans. In all honesty, we hope that Waverly doesn't go evil, since this would hew too closely to season 1's Willa twist. Likely, showrunner Emily Andras knows that too and will subvert expectations. In the meantime, Wynonna Earp is sure having a blast faking out viewers with potential moments for Waverly to turn on her loved ones. While the Black Badge division's planned missile strike on Purgatory was cancelled, the group has plenty of questionable intentions for the town. This week, we learned that Lucado's beef with Dolls is in fact personal, with the former blaming Dolls for her husband's death. This is almost certainly the first of many pieces of the puzzle with regard to Dolls' backstory, which has thus far eluded Wynonna Earp as a whole. Fans curious to see what led him to joining the Black Badges. If this season's themes offer any clues, we're betting he was trapped into working with them just like Wynonna and company are by the time the credits roll. In any case, the Black Badge division is shaping up to be the Big Bad of season 2, complete with a shadowy new authority figure to intimidate our fearsome heroes. Now that Dolls has his freedom back, we're anxious to see how far he will go to strike back against his employer and what truths we'll learn. 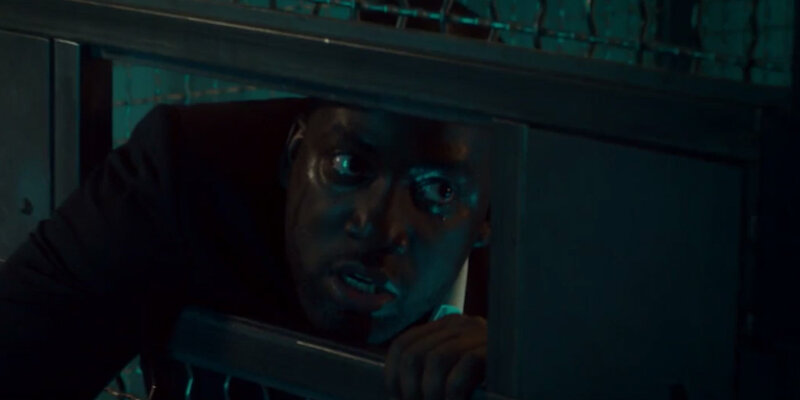 In the premiere, Anderson and his character were literally forced to be on lockdown. So we're confident that the writers have something special in mind for Dolls in coming episodes. In season 2, Syfy's Wynonna Earp makes good on the chance to expand its world in significant ways, proving fans are in for a treat. Wynonna Earp returns next Friday with 'Shed Your Skin' at 10pm on Syfy.